Zhang GY, Shen JH, Yao L, Yang YH, Zhao XJ*. Reorganization of functional brain networks mediates the improvement of cognitive performance following real-time neurofeedback training of working memory. Human Brain Mapping 2015, 36:1705-1715. Shen JH, Zhang GY, Yao L, Zhao XJ*. Real-time fMRI training-induced changes in regional connectivity mediating verbal working memory behavioral performance. Neuroscience, 2015, 289:144-152. Zhang QS, Zhang GY, Yao L, Zhao XJ*. Impact of real-time fMRI working memory feedback training on the interactions between three core brain networks. Frontiers in Behavioral Neuroscience 2015, 9(244): 1-9. Li X, Yao L, Ye Q, Zhao X*. Online Spatial Normalization for Real-Time fMRI. PloS ONE 2014, 9(7), e103302. Zhang GY, Yao L, Zhang H, Long ZY, Zhao XJ*. Improved Working Memory Performance through Self-Regulation of Dorsal Lateral Prefrontal Cortex Activation Using Real-Time fMRI. PLoS ONE 2013, 8(8): e73735. Zhao XJ, Zhang H, Song ST, Ye Q, Guo J, Yao L. Causal interaction following the alteration of target region activation during motor imagery training using real-time fMRI. Frontiers in Human Neuroscience 2013, 7(886):1-8. Ma, XY, Zhang H, Zhao XJ, Yao L, Long ZY. Semi-Blind Independent Component Analysis of fMRI Based on Real-Time fMRI System. IEEE transactions on neural systems and rehabilitation engineering, 2013, 21:416-426. 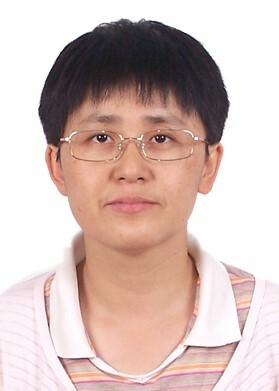 Zhang GY, Zhang H, Li XF, Zhao XJ, Yao L, Long ZY. Functional Alteration of the DMN by Learned Regulation of the PCC Using Real-Time fMRI. IEEE transactions on neural systems and rehabilitation engineering, 2013, 21:595-606. Zhao XJ, Wen XT, Shen JH, Hong H, Yao L. An Improved Fast Marching Method and Its Application in Alzheimer’s disease. International Journal of Imaging Systems and Technology 2013, 23(4):346-352. Li XF, Yao L, Zhao XJ*. A Novel HCI System Based on Real-Time fMRI Using Motor Imagery Interaction. Lecture Notes in Computer Science 2013, 8027:703-708. Guo J, Yao L, Shu H, Zhao XJ*. The oscillatory activities and its synchronization in auditory-visual integration as revealed by event-related potentials to bimodal stimuli. Proc. of SPIE Electronic Imaging 2012, Human Vision and Electronic Imaging, 82911P: 1-7.